Drawn by palm trees, warmer weather, and the Pacific Coast, my friend and I recently took an extended weekend getaway to California. 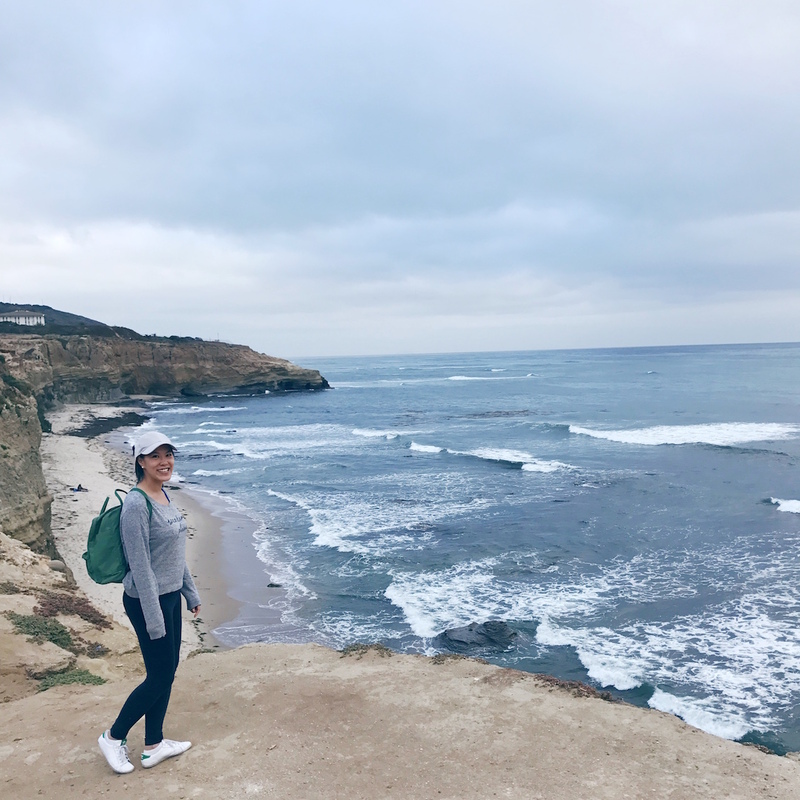 Having already been to LA and San Francisco, the next California coastal towns on my list were San Diego and its upscale seaside community La Jolla (pronounced “La Hoy-ya”). We spent our first night in La Jolla, then, the next three nights, we stayed near the Little Italy neighbourhood near Downtown San Diego. In both areas we booked accommodations via Airbnb, and used Uber for all our transportation needs. Known for museums, zoos and sea world, San Diego has numerous ticketed tourist attractions and tours. But if you’re like us and would prefer a modern mix of local experience in San Diego, read on! Here’s our list of six things to do in San Diego that aren’t ticketed attractions. San Diego has a surprisingly robust dining scene with little pockets of boutique restaurant blocks scattered throughout the city. We stayed in the Little Italy district and loved the stretch of hip restaurants each serving unique menus in a trendy environment. 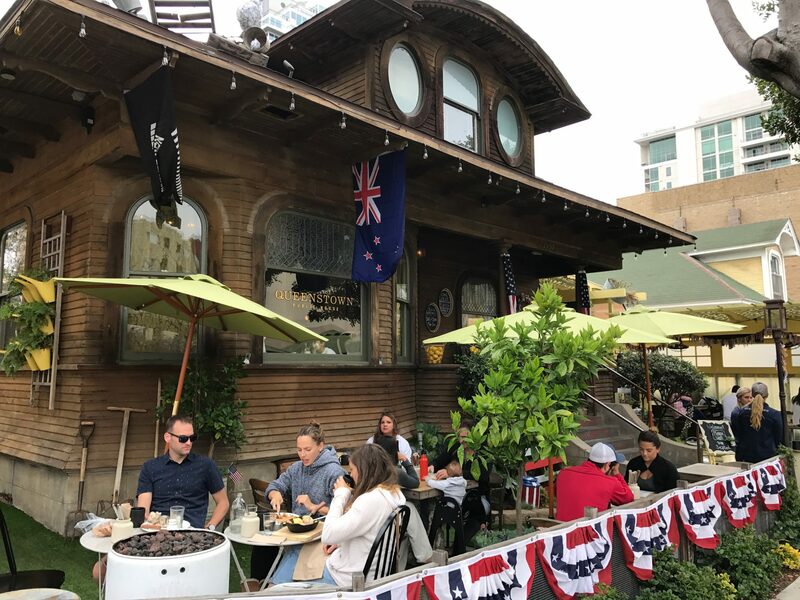 San Diego sure knows how to take advantage of its good weather; many of its restaurants along India Street and Kettner Boulevard have patios for al fresco dining, or giant windows that open to let in fresh air. Two restaurants we went to included Kettner Exchange (with a rooftop patio) and Queens Landing (located in a heritage home with patio and “front yard” seating). For healthy eats, Gratitude Cafe was a clean and modern restaurant we went back to twice, while Juice Crafters offered cold-pressed juice, smoothies, and acai bowls to-go. There’s a 3km stretch of trail running alongside Sunset Cliffs Boulevard which winds along the Pacific Coast with unblocked views of the ocean. We saw lots of runners exercising along the coastline, photographers snapping the scenic view, as well as picnickers spread out on blankets down by the beach or sitting on the flat rocks. The hike is beautiful at all hours, but for a sunset experience, visit at dusk and watch the sun set into the Pacific Ocean. 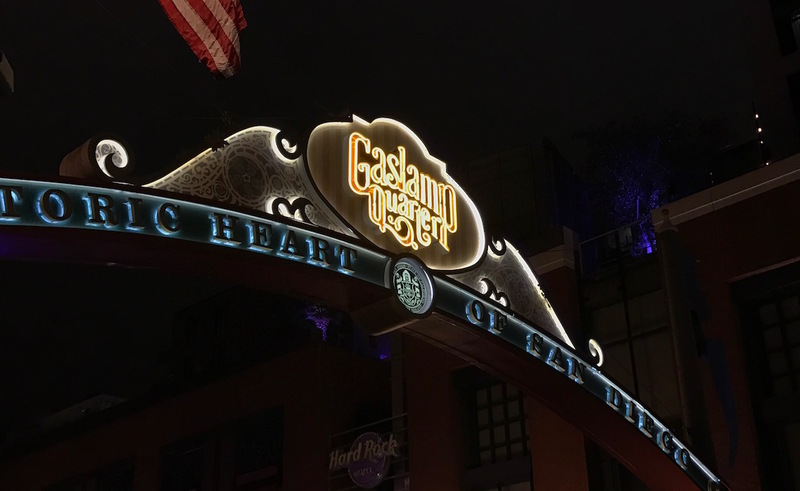 The equivalent of Vancouver’s Granville entertainment district, San Diego’s Gaslamp district is full of restaurants, bars and clubs. This is one of the more lively spots to spend a Friday or Saturday night in San Diego. 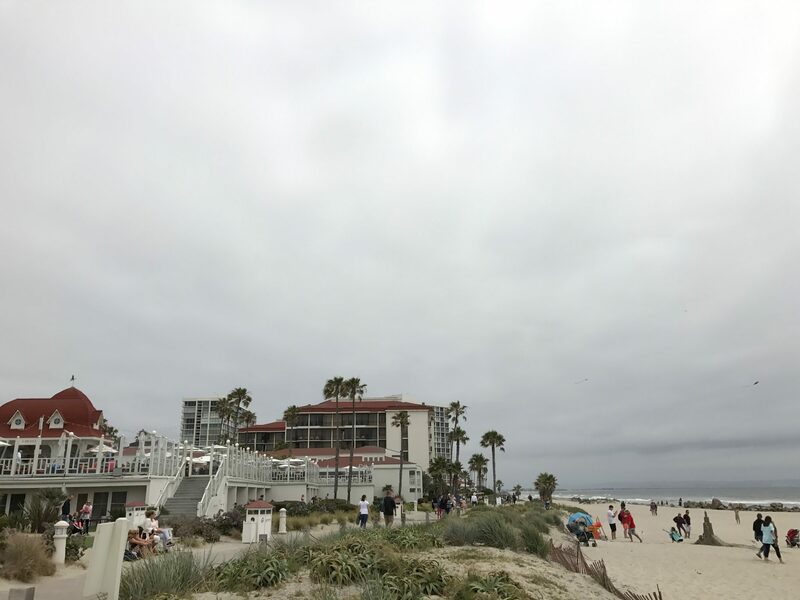 Coronado Island is a neighbourhood in the south of San Diego, and its main attraction is the historic Hotel del Coronado. We could have taken a ferry to the Island, but the ferry lands on the opposition side of the island from the hotel, so we took an Uber instead and got dropped off right at the main entrance of the hotel. We explored the grounds a bit then plopped down white sand beach. It’s super clean and well maintained but make sure you bring your own towel to sit on because individual beach chair rentals are $20 USD each! La Jolla is an upscale beach suburb about 30 minutes away from downtown San Diego. 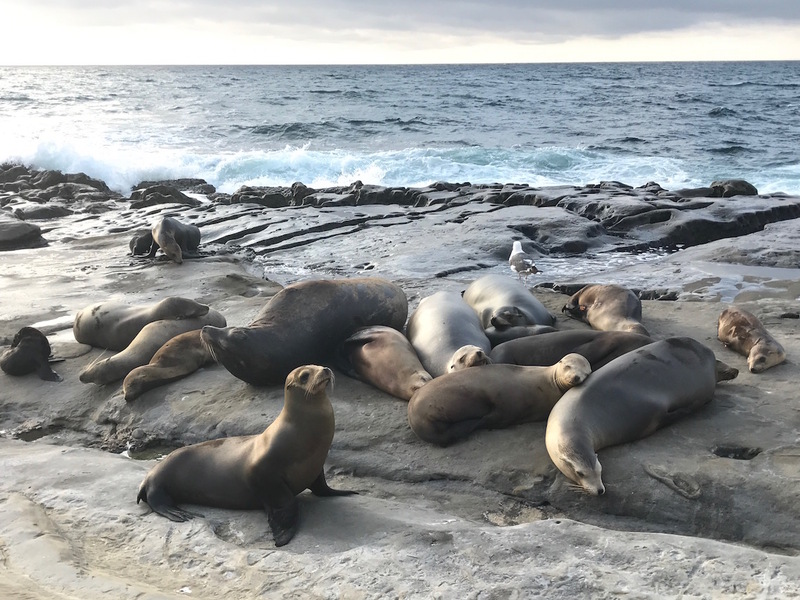 We walked from Windandsea Beach to La Jolla Cove; along the way there is a strip near the Children’s Pool with tons of seals and sea lions. We were amazed at how close we could get to them – although there are signs everywhere saying to maintain a respectable distance and to not take selfies with the wild animals. The ocean view is beautiful, but if you get a chance, walk along the residential blocks too. Every home is different and many are beautifully adorned with cactus, succulents, and other landscaping details. How many times do you get to say you walked over the border to Mexico?! For $2.50USD take the “blue line” Trolley towards San Ysidro; the last stop is at the Mexican border. 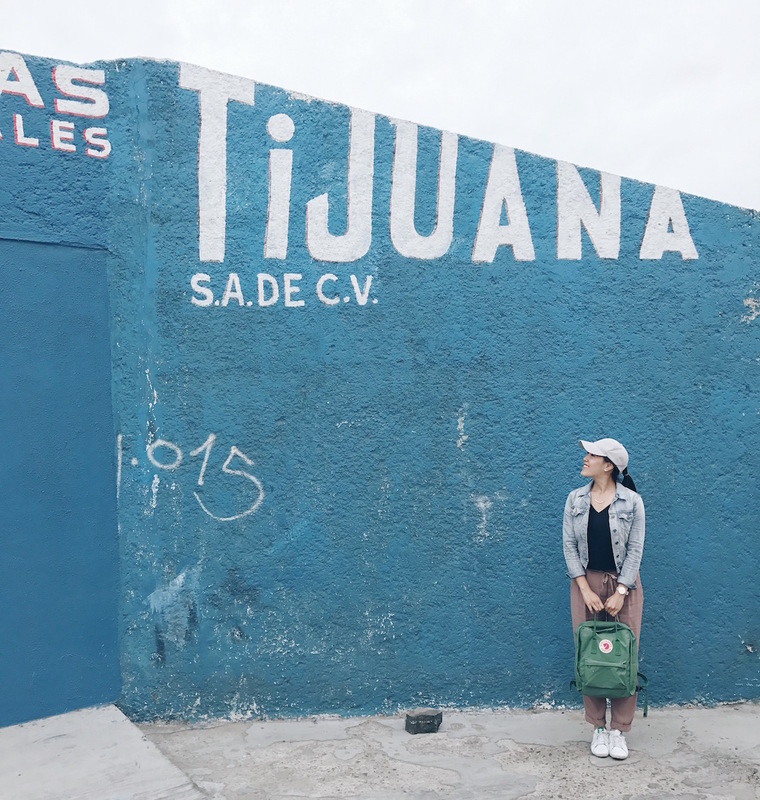 Cross the border and pass through customs on foot and you’re set for a day-trip in Tijuana. Be sure to visit Anthony Bourdain’s Taco Alley while you’re there!